Both Arata of the Hime and Arata Hinohara come under attack by members of the Six Sho, a group from Hinohara's world who found themselves in the other, gained great power, and now wish to return home for reasons more sinister than just being homesick. Arata of the Hime is tasked with protecting his classmate and friend Oribe, who turns out to be a lot more than either of them suspected, while Arata Hinohara faces perhaps his greatest challenger yet among the Six Sho - Isora, who wields the power of the written word! Yuu Watase debuted in the Shojo Comic manga anthology in 1989. She won the 43rd Shogakukan Manga Award with Ceres: Celestial Legend. One of her most famous works is Fushigi Yugi, a series that has inspired the prequel Fushigi Yugi: Genbu Kaiden. 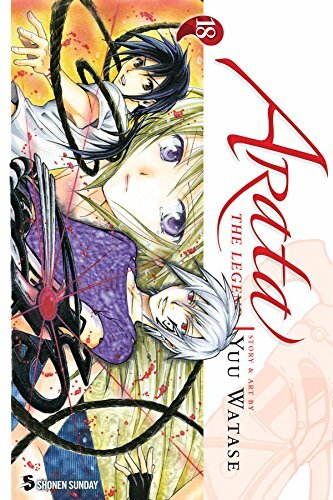 In 2008, Arata: The Legend started serialization in Weekly Shonen Sunday.